Hello and welcome to this, the Allan Davies Celebrant Services website, with information on all my professional services. 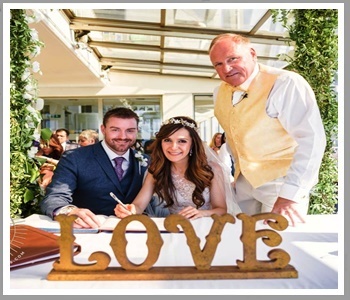 Celebrant ceremonies are growing more popular every year, offering people the chance to have their special humanist and religious ceremony their way, with a professional experienced person to help and direct the service. Whether a Celebrant marriage blessing, complete with optional toasting and MC services, renewal of marriage vows or commitment, a birthing or naming ceremony, or a last goodbye for a departed loved one, this website will help give you the information you need to make that choice.